“The Incapables” (“Kykenemättömät“) is a stage play directed by Tytti Rintanen and premiering at Helsinki’s Kellariteatteri. The piece tackles the issue of chronic nerve pain and three persons’ journeys to find relief and empathy. The idea behind the play’s posters was to showcase the loneliness of someone suffering from chronic pain while surrounded by “normal”, healthy people. 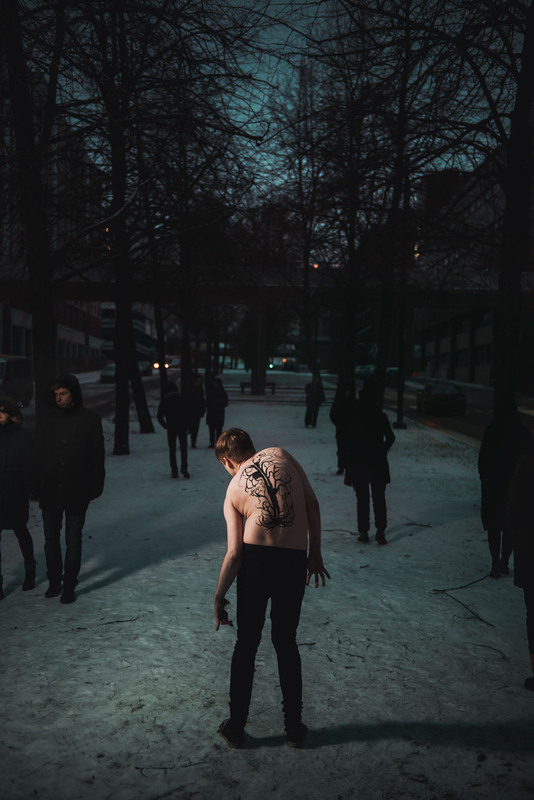 The photos were shot one freezing February evening in Helsinki, and were retouched to give each poster a distinct hue, which would make for a more interesting visual effect when displayed side-by-side.